Leonid Plyushch, a legendary human rights activist, dissident and symbol of resistance to the totalitarian Soviet regime, died in France yesterday at the age of 76. “Leonid died on Thursday morning [June 4]. He was an extraordinary person who has gone through a difficult time,” said his friend Arina Ginzburg, also a former dissident of the Soviet era. Born in Naryn, Kirghyzia on April 25, 1939, Leonid Plyushch was a talented mathematician, a prominent publicist and a literature specialist, a human rights activist, a member of the Initiative Group for the Defence of Human Rights in the USSR, a member of the External Representation of the Ukrainian Helsinki group (UHG), and a victim of Soviet punitive psychiatry. Leonid Plyushch with his wife Tatiana Plyushch in Kyiv, 2007. Plyushch’s official obituary has been republished many times in the past 2 days. This is a small remembrance of the important role he played in human rights work in the diaspora at a crucial time in the formation of international policies towards the former Soviet Union. What follows are a few excerpts, used with the author’s permission, from the recently-published book Negotiating Human Rights: In Defence of Dissidents during the Soviet Era. A Memoir by Christina Isajiw, former director of the Human Rights Commission of the World Congress of Free Ukrainians (currently the Ukrainian World Congress) who spent over twenty-five years lobbying in defense of dissidents and human rights activists of the former USSR. Some of the images and quotes are taken from other sources listed either on each image or at the bottom of this post. Bohden Nahaylo interpreting for Leonid Plyushch in Trafalgar Square, London, in 1977 at a rally in defense of Soviet political prisoners confined in mental hospitals. Leonid Plyushch, Vladimir Bukovsky, Maria Phillimore-Slonim and British actor David Markham. Photos & source: Bohdan Nahaylo FB post. Leonid Plyushch, a former Soviet political prisoner who suffered 2 1/2 years of psychiatric repression and forced confinement [he was arrested in January 1972, brought to trial January 25, 1973, was sent by the court to the Dnipropetrovsk Special Psychiatric Hospital for forced treatment from July 5, 1973 until January 10, 1976 and was treated with dangerous drugs such as haloperidol, triftazin, and even large doses of insulin] has died on June 4th in France. “At the time, the incarceration of this young scientist evoked a strong response in the West. Appeals poured into Moscow from the American Medical Association, Amnesty International, the International Red Cross, and Ukrainian organizations. 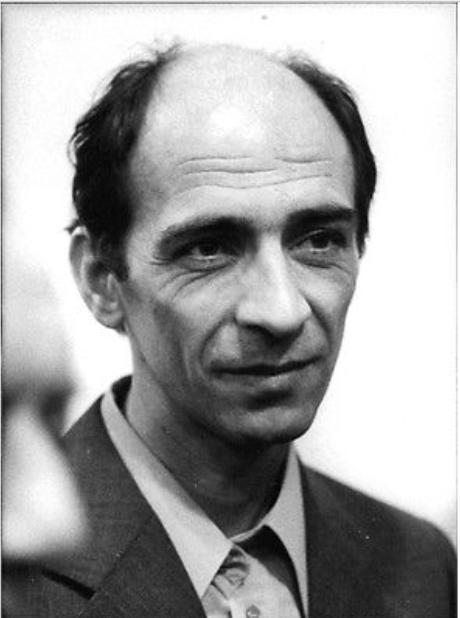 His case acquired even more resonance when French mathematicians joined with Amnesty International to sponsor an international Leonid Plyushch Day on April 23, 1975. On October 23, 1975, a public meeting was held in Paris in support of Plyushch. Attended by some five thousand people, including representatives of socialist organizations, it was the largest rally ever organized in support of a Soviet prisoner of conscience. Fearful of losing electoral support, the French Communist Party declared two days later in L’Humanité, “If it is true that [Plyushch] is interned in a psychiatric hospital solely because he has taken a stand against some aspects of Soviet policy or against the regime itself, we can only confirm with the greatest clarity our total disapproval and demand that he be liberated as quickly as possible.” In January 1976, Tatiana Plyushch was given exit visas for her family, and the Soviet news agency TASS announced that they would be permitted to emigrate to Israel. Arriving in Austria, the family proceeded to settle in France. “Lyonya,” as he was known to his friends, was bright, witty, and sometimes bitterly sarcastic, but always engaging and a good, loyal friend. 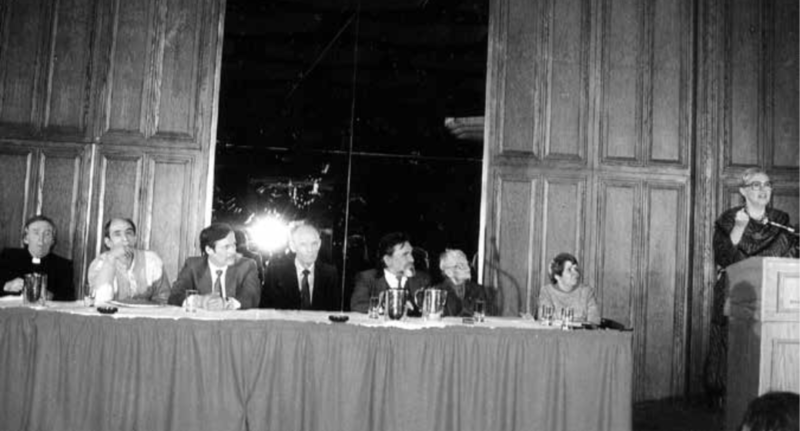 Human Rights Commission Conference on Human Rights, Toronto, 1983. Left to right: Rev Vasyl Romaniuk, Leonid Plyushch, Petro Ruban, Danylo Shumuk, Mykola Rudenko, Oksana Meshko, Nina Strokata-Karavanska, Christina Isajiw. From April 15 to May 26, 1986, Bern, Switzerland was the sight of this special six-week human rights conference where all thirty-five participating states committed to talks on compliance with the Helsinki Accords on the key subject of human contacts. The Bern Meeting was something of a turning point leading to promises for changes in the Helsinki Process. Leonid Plyushch…gave numerous interviews that I arranged…Leonid was quoted in various major news media. In Le Monde, he talked about the severe repression of Ukrainians, who constituted 30 to 40 percent of all the political prisoners in the USSR. 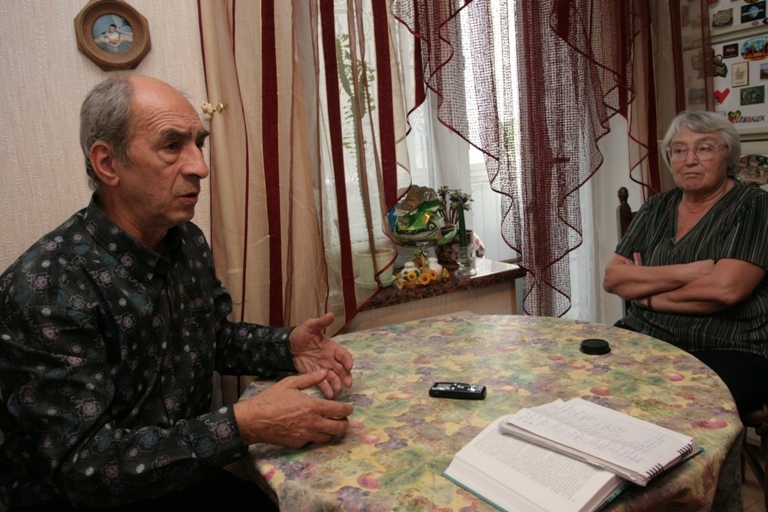 He emphasized the fact that the KGB (secret police) was experimenting with new methods of terror in Ukraine by intimidating the family members of dissidents, including their elderly parents. 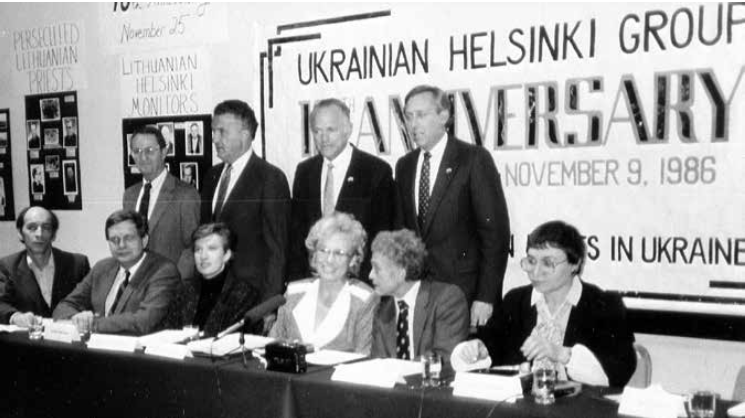 Press conference on the tenth anniversary of the Ukrainian Helsinki Group, Vienna, 1986. Left to right, seated: Leonid Plyushch, Tomas Venclova, Ginte Damusis, Christina Isajiw, Yuri Orlov, Nadiia Svitlychna. Standing: Sam Wise, deputy director CSCE Commission; Senator Paul Sarbanes; Senator Dennis DeConcini; Congressman Steny Hoyer, chairman CSCE Commission. Source: Negotiating Human Rights: In Defence of Dissidents during the Soviet Era. A Memoir. …mine is an account of one more road to freedom, a description of how the Soviet union appears in the eyes of a citizen whose fanatical faith in the system gave way to a struggle to free himself of its illusions, slavery and terror. Leonid became a prominent Ukrainian dissident witnessing the draconian trials of dissenters during the mid 1960s. Forgetting, shutting my eyes and ears, remaining silent was impossible. Above all, as an oppositionist I would not need to lie or to play the double role of ‘building the brilliant future’ while suppressing the dismal present. His spiritual awakening evolved with witnessing the continuous distortion of history, the suppression of independent thinking, the annihilation of intellectuals, a process whereby intelligent individuals were virtually forced into dissidence. With admirable courage he challenged the authorities, was persecuted and suffered two-and-a-half years of abuse and torturous treatments in the infamous special psychiatric institution in Dnipropetrovsk. The huge human rights movement in the west fought for his release and Leonid became its avid supporter and participant for the rest of his life. 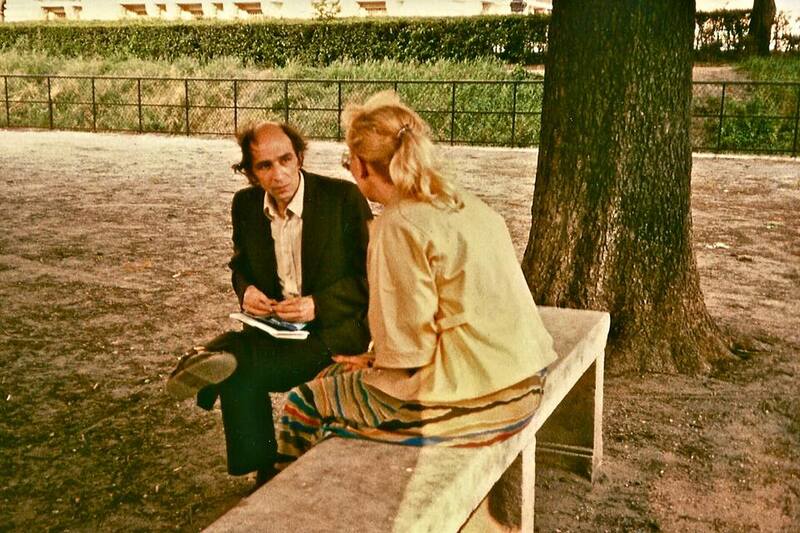 Leonid Plyushch and Christina Isajiw in a park in Nanterre, France. Voices of Ukraine would like to extend its sincere condolences to Leonid Plyushch’s wife, family, fellow dissident friends and loved ones. If you remember Plyushch, please feel free to share your memories in the comments. Psychiatric Abuse of Political Prisoners in the Soviet Union–Testimony by Leonid Plyushch (March 30, 1976). Hearing before the Subcommittee on International Organizations, of the Committee on International Relations, House of Representatives, 94th Congress, 2nd Session, Washington, DC. This entry was posted in "Voices" in English, Culture, English, English News, Eyewitness stories, Other diaspora, Pictures, Video, Voices of Revolution and tagged #freekohver, #FreeKolchenko, #FreeKostenko, #FreeSavchenko, #freesentsov, #Leonid Plyushch, #RussiaInvadedUkraine, #StopRussianAggression, #UkraineUnderAttack, Soviet dissident. Bookmark the permalink. Uma bela história de um homem extraordinário.